Master the skills you’ll need to be a leader. Four students showcased their business skills at the national Phi Beta Lambda conference. At LVC, we prepare our business administration students for fast-paced careers in a world that needs them. Master the right technical skills to succeed in your job and the soft skills that will make you stand out in the office. With broad-based courses in marketing, operations, and management, your business administration degree will prepare you to become a well-rounded leader with whip-sharp decision-making abilities. Rise above your competition in the job market with coursework in strategic management, organizational development, economics, and business ethics. Once you find your passion, tailor your bachelor's degree in business administration with electives that give you an edge on the job. You may also want to explore our related programs, including accounting, economics, finance, or music business. The business administration degree is flexible, and our graduates pursue management careers across industries, from accounting firms to hospitality, and from professional sports to state-level government. Whether you’re interested in human resources, labor relations, international relations, or organizational psychology—you can prepare for the business administration career you envision. Apply to our bachelor's degree in business administration or first-year undergraduates. Pair a second major or minor with your B.S.B.A to tailor your degree to your interests and career goals, whether you're into music, criminal justice, science, or art. Master your degree requirements, from the Constellation at LVC core curriculum to our internship seminar. We don't just want you to talk about problem-solving skills in the classroom. Our business administration internship program helps you forge relationships with experts in the community, present your ideas to high-level executives, and solve difficult problems with your colleagues and teammates through real-world, hands-on learning experiences. Work closely with a faculty advisor to identify the business administration internship that will be most meaningful for your career. Then, in our internship seminar, you'll learn everything you need to delight your employer and land a job offer, from dressing the part to nailing your presentations. 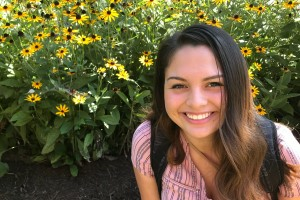 LVC interns receive high scores in problem-solving, decision-making, and presentation skills from local employers, which means you'll be part of a proud and successful tradition in leadership training. Many of our majors receive job offers from their internship company upon graduation. What Makes the Bachelor's in Business Administration at LVC Special? Intern in Philadelphia or Washington, D.C., or go farther afield and study abroad in one of LVC's numerous study abroad programs. Prepare for your career with resources tailored for business administration students. Learn from real-world experts on our faculty, as well as from professionals in the field. Attend the annual Business Symposium or various guest lectures from professionals in various fields, including successful alumni. Compete in the Phi Beta Lambda National Business Conference. According to the U.S. Bureau of Labor Statistics, the field of business administration will grow by 10% between 2016 and 2026, with an especially strong need for accountants and market research analysts. Use your bachelor's in business administration to pursue leadership and management positions in the corporate or industrial world, in state or federal government, and the nonprofit sector—or launch your own venture. Our graduates in business administration work in marketing, human resources, philanthropy, sports management, hospitality, industry, and as entrepreneurs. Recent graduates have found success at companies like ING, BMW of Reading, AXA Financial Advisors, The Hershey Company, Naval Supply Systems Command, RBC Wealth Management, Fulton Bank, Kearney & Company, and many other local, national, and international employers. The LVC Department of Business and Economics places a high value on successful student outcomes. Our program develops and enhances student understanding and application of business skills. The measurement of learning outcomes is central to assessing the success of our program's curriculum and are central to our commitment to excellence. All students in business administration, accounting, and economics participate in an inbound assessment as freshmen and outbound assessments as seniors. By evaluating learning outcomes consistent with the learning goals of our programs of study and our external accrediting organization (ACBSP), our goal is to measure the wide range of skills and knowledge central to the LVC business, accounting, and economics curricula. The Strategic Management course definitely prepared me well for the workforce post-graduation. 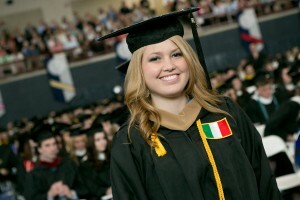 It is a holistic approach to encompassing and executing all skills learned throughout our four years at LVC. 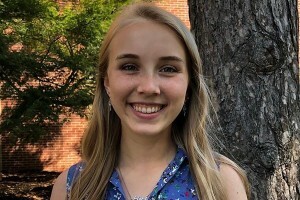 Her role as class treasurer and an internship with an area school district have her feeling confident about life after graduation.